Leading Manufacturer of cable tray, perforated cable tray and galvanized cable tray from Nagpur. We are the leading manufacturing and supplying of a superior quality range of Cable Tray. Our range of Cable Tray are widely demanded in various industries. As per the client demand, we can offer our range in various specifications. 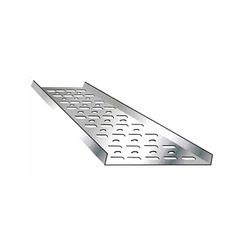 Cable Tray are available in different sizes as per the customer specifications. We bring forth an impeccable array of Perforated Cable Tray for our clients. Offered trays are widely used for installation of regular cables as well as controlled cables in various industries and sectors. Our range is widely acclaimed for its ability to accommodate a large number of branch lines giving a high load bearing capacity. 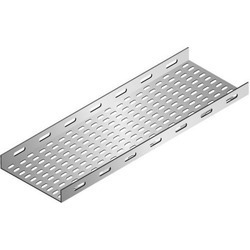 Furthermore, we also offer these cable trays in various customized specifications as per the requirement of our clients. We offer our clients an exclusive range of Perforated Cable Tray, which is manufactured using high grade raw material such as mild steel, stainless steel and aluminium. 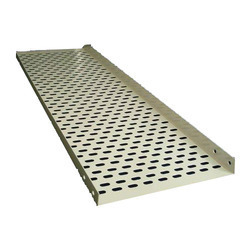 These Perforated Cable Tray are used to hold up and distribute cables and are an effective way to manage wiring while keeping it accessible.